This is a specialized survey frequently required by lending institutions on large commercial or multi-family residential properties. It adheres to a specific set of requirements jointly established by the American Land Title Association (ALTA) and the American Congress on Surveying and Mapping (ACSM). Generally, in addition to the boundary of the subject property, all of the improvements located on a site will be measured, identified and shown on the survey, together with all applicable easements and setback requirements established by provided documents. A survey to establish or re-establish the boundaries or limits of a property or easement identified by a deed of record is commonly referred to as a Boundary Survey. This type of survey will not only identify the location of the boundary, but will disclose posession limits and discrepancies that may exist between the record description of the property and that of the adjoining properties. This survey will also show any encroachments on the boundary lines. In addition to the use of modern equipment and computer software, our staff of professional surveyors have a complete understanding of the legal aspects and principles of land surveying, including the history and original distribution of land throughout the area. The locations of proposed construction such as utility lines, buildings, parking areas and other improvements are determined on the ground based upon a set of plans generated by an architect, engineer or other person responsible for the design. Generally, horizontal and vertical locations will be determined in the field as per the desired plan and stakes set to mark and identify their locations. When buying or refinancing a home or commercial property a survey is usually required by your lender. This survey will show the boundary lines of the property and all existing improvements on the property. The survey will also show easements of record plotted on the survey. Utilities servicing the property and fences are some of the other important details that will be shown on the survey. A GPS (Global Positioning System) control survey utilizes high precision survey grade Global Positioning Receivers to establish horizontal and vertical values for remote locations. Measurements can be determined without the necessity of a clear line of sight between points on the ground which enables the surveyor to work in extraordinary terrain and to cover large areas in an efficient and precise manner. 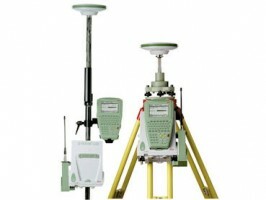 GPS equipment is sometimes used to gather vertical and horizontal positions of existing features including, but not limited to, boundaries, improvements, topography and planned locations for construction. The subdivision platting are the documents that create a subdivision of land for development. The drawings and other aspects of platting will be recorded in the public records for transfer of title for the lots and tracts contained with the subdivision. The legal description for each lot and tract within the subdivision will refer to the plat book and page of the recorded plat instead a metes and bounds description. When subdividing a tract of land into more than two parcels, a subdivision plat is required by state and county laws. This type of survey is critical to enable the design for adequate drainage of a site either before or after construction is completed. Elevations can be assumed relative to an arbitrary stable point (Bench Mark) or can be based upon a government identified sea level datum. Our topographic surveys establish the change in grade or elevation of land and constructed features such as roadways, drainage channels and structures and are frequently utilized for design purposes. Specific costs relative to the construction of a foundation of a proposed structure or other improvements can be determined more precisely if a topographic survey is completed prior to design. 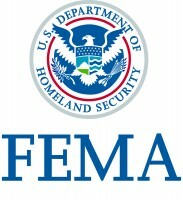 The FEMA certificate/survey is needed for the main purpose of purchasing flood insurance. The Federal Emergency Management Agency (FEMA) National Flood Insurance Program has an Elevation Certificate form. This form requires data and elevations of the lowest floor for the structure to receive insurance coverage. Section C of the form (building elevation information- survey required) is the main portion of the form we will provide. This will require us to establish the floor elevation, lowest and highest adjacent grades and flood vent details. 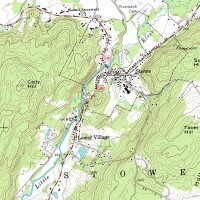 Along with GPS coordinates (Lat. & Long.) at the front door, photos of the front and rear view of the structure and other survey data.